We're not just in Australia, you can find us in Malaysia, South Africa, China, India and Italy. But we go beyond good intentions. We make an impact, both locally and internationally. We are a global university with a presence on four continents.And our plans for the future are ambitious. Making a difference takes energy and idealism as well as experience and wisdom. As a young university, our outlook is progressive and optimistic. We aren't mired in cynicism, tradition or convention. Weattract the best scholars, but we're not elitist. We open our doors to anyonewho is prepared to work hard to make a difference. Wehave seen the good achieved by Monash people in areas like green chemistry, sustainability, and accident and trauma. We are encouraged bytheir successes and the role we have played in them. We have five local campuses throughout Victoria, two international locations in Malaysia and in South Africa, and centres in the People's Republic of China,Italy and India. Each provides an environment that identifies and nurtures talent – and turns that talent into ability. Webelieve the best way to help our people meet the challenges they face is toprovide a supportive environment. We champion and support our students so theyhave a memorable university experience. It's a friendly university – no matterwhich campus you attend. From collaborative research opportunities, to building community relationships, our focus is always on how we can empower our people to make a positive impact on the world. Things like the bionic eye and the anti-flu drug Relenza. Sharedambitions move us forward, faster. The more relevant, useful and powerfulconnections we can make, the greater our impact will be. Ourmotto Ancora Imparo ("I am still learning") reminds us that the search for knowledge never ends. We are fired with a restless ambition that pushes us to do things better, to set new benchmarks and to break new ground. Inorder for our students and staff to positively impact their communities and theworld, we must equip them and inspire them – so they can be agentsof change. We are a product of a proud history. If you'd like to find out more about where we've come from, you can find out more about our history. Although Monash conducts research across numerous fields of study - more than 150 in all - we focus on a number of specialisations, our leading capabilities. We've grouped these capabilities into four categories, aligned closely with the Commonwealth Government's National Research Priorities and its National Collaborative Research Infrastructure Strategy. Monash's research goals can be summarised in three words: excellence, relevance and impact. These goals are mutually supporting, and with these guiding aims our research can continue to solve the challenges society faces. To achieve our overarching research goals, we are increasing our capacity to connect with industry, government and the world's very best research organisations. We are also breaking down the traditional barriers between fields of study, creating cross-disciplinary teams involving multiple faculties. Fundamental to our approach is an unrelenting commitment to excellence and support for our early career researchers and emerging research leaders. "Many of whom have made discoveries leading to significant and lasting impacts, both in Australia and around the world." Monash University has 803 data records in Research Data Australia, which cover 2165 subjects areas including MEDICAL AND HEALTH SCIENCES, BIOLOGICAL SCIENCES and BIOCHEMISTRY AND CELL BIOLOGY and involve 5 group(s). All of the information provided by Monash University can be accessed from the box on the right hand side of this page. Monash University provides researchers with Advisory, Data Source, Storage, and Support Infrastructure, coordinated across key business units including the Research Office (postdoctoral grants, fellowship and award applications, and ethics), the Library (discovery, use and management of information/data), eSolutions (centralised IT services) and the eResearch Centre (technical expertise and solutions).  To underscore the reputation that the University had earned, in 1999 we were invited to be a founding member of the Group of Eight, the coalition of Australia's most prestigious research-intensive universities. Monash had been around for just four decades, and yet was demonstrably holding its own against universities that had had well over a century to establish themselves. Video files for article "Are you trying to be funny? Communicating humour in deafblind conversations"